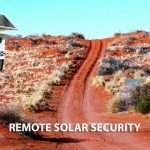 How can a Solar powered security camera help me? Typically what the 3G/4G Solar Camera System looks like when pole mounted…. 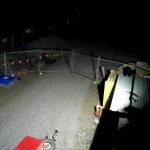 This image depicts a storage yard at night in complete darkness…. Similar to the image above completely dark at night other than our 50W…. This image is taken from our office. The camera in this instance is inside…. 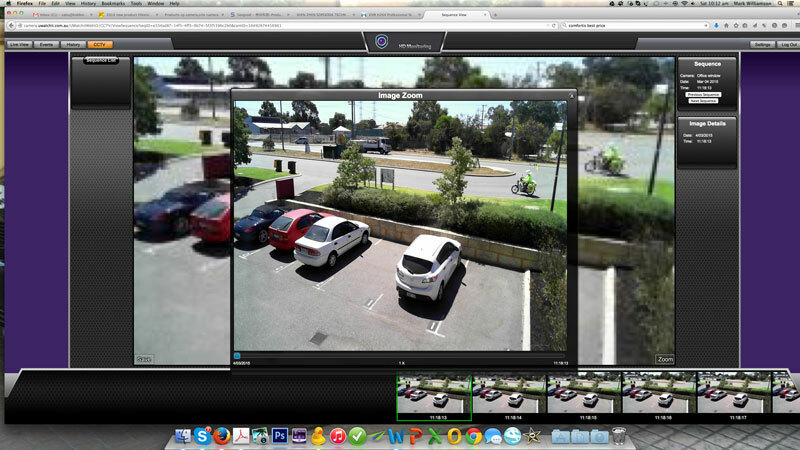 Similar image capture from our office. The camera in this instance is inside our…. Introducing from Hidden Camera Surveillance Services, the latest addition to our outdoor battery and solar powered camera range, the all new 2-12 Megapixel Solar Graffiti Security Camera with Motion Activation, Time Lapse Recording & GPRS plus high resolution H.264 Video & Audio. This compact and covert camouflaged weatherproof surveillance camera is 100% BATTERY OPERATED (AA Batteries) motion activated or time lapse. Available with our optional mini SOLAR PANEL this camera can function for weeks or months using just quality 12 x AA batteries however, by adding the Mini Solar Panel with built in Lithium-Ion batteries (embedded within actual Solar Panel) up to 12 months can be expected with just one set of batteries. Incredible…..yes we agree! 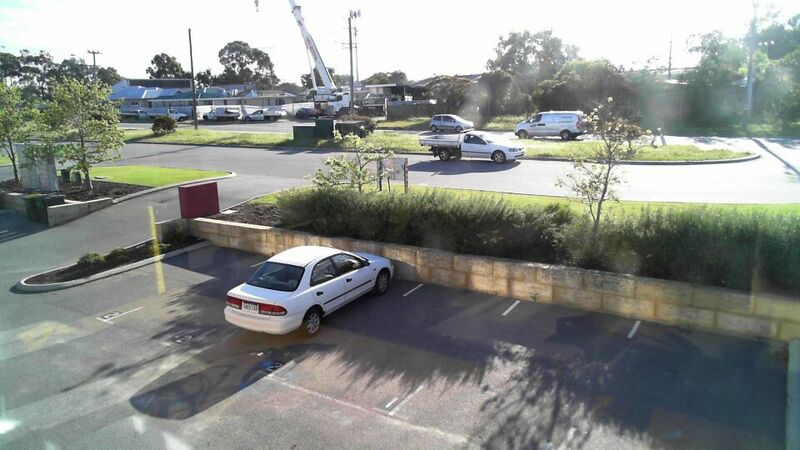 If you have a property, a problem with theft, vandalism, wilful damage, Graffiti, building sites, trespassing, monitoring machinery, feral animals or any concern, Graffiti Cam could just be the answer to your prayers. Graffiti Cam is an easy DIY surveillance system. No installation is required plus we can pre set the camera for you if desired so just a matter of aiming, mounting and switching on. 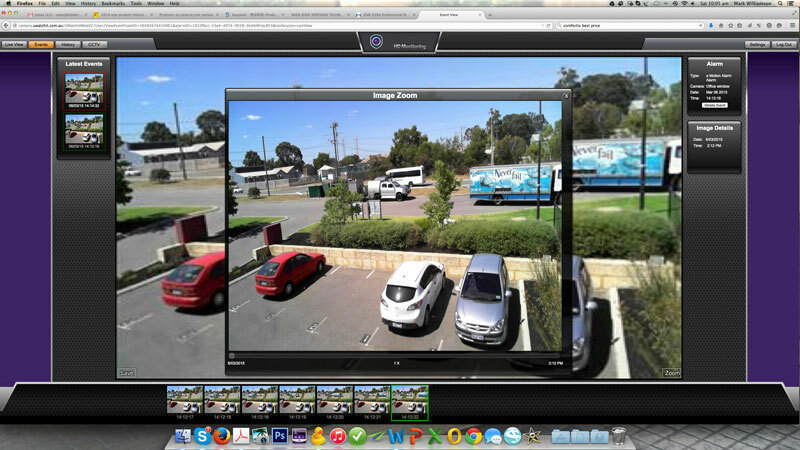 So what makes Graffiti Cam different to a CCTV security surveillance camera system? Other than low cost, no installation required (completely DIY) no power needed, no cables required, ability to move the camera wherever you want at any time…need we go on!! When the SD memory card is full, Graffiti Cam can be set to either stop recording or RECYCLE recording. Available with or without our GPRS modem, Graffiti Cam not only saves still pictures and high resolution video to the SD card but it can send pictures to your mobile phone and/or email accounts. All you need is a pre paid Telstra, Optus or Vodafone SIM card. Another new feature is the NO GLOW IR! That’s right, Graffiti Solar Security Camera can now record in total darkness and the IR illumination is invisible. Read more below. How can a battery or Solar powered security camera help me? Most security cameras of any description need 12V/240V power to function but not so our new Graffiti Solar Security Camera. No Power, No Cables, No Internet, No Lighting……….NO PROBLEM! Common CCTV & IP cameras need to be cabled to a Digital Video Recorder (DVR) all of which needs a constant power source. If remote access is required, then users also require on-site Internet plus a modem or router and so it goes. A somewhat costly exercise when taking into account the amount of hardware required, trenches, cable and conduit, not to mention installation plus ongoing maintenance. For more permanent installations where multiple fixed cameras are needed such as homes, offices, buildings and factories etc then a DVR or NVR security system makes sense. Hidden Camera Surveillance supplies CCTV cameras as well. However, what if only one or a few cameras are needed in remote locations where NO POWER is available, what’s the solution? Pictured below is our all new Graffiti Cam. It takes 12 x AA batteries such as Energizer or the more powerful Lithium Ion so without any external power, Graffiti Cam can function in motion detection mode for months, depending on the number of motion activations. Of course if longer duration is required, our mini solar panel can keep the camera functioning for up to 12 months with just one set of AA batteries. More about that later. By day, when motion is detected (within approx 15m range) Graffiti Solar Security Camera captures very high resolution 2-12 megapixel colour time and date stamped pictures then auto saves those pictures to the built in SD HD memory card. Graffiti Cam accepts SD cards anywhere from 2-32GB so to put this into perspective, if the camera is set to 2MP quality, it would use about 1GB of memory per 1000 images. The higher the resolution set the more memory it uses. An 8GB SD card can store approx 8000 x 2 megapixel colour time & date stamped pictures. The LCD camera MENU set-up (No PC Required) offers two options, STOP recording then the SD card is full or RECYCLE recording meaning when the SD card is full, it will auto over write from the earliest recorded images. It doesn’t mean that all recorded images are lost. Quite the contrary, if you are certain there have been no events worth looking at during the pasts few days or weeks, allow the camera to recycle recording over and over again. Depending on the recording speed, image quality and the number of images the Graffiti Security Cam takes per day, it could take weeks or months to actually fill the SD card. Still concerned, use a larger capacity SD card, even a 32GB. 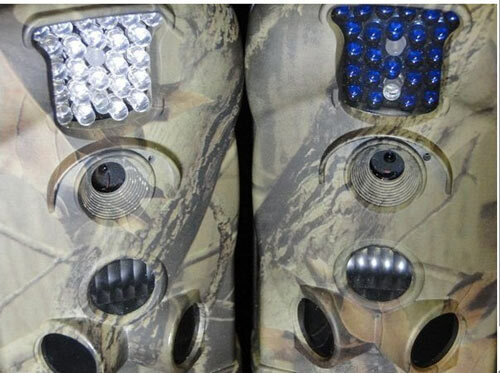 Note the dark blue/black LED’s pictured. This is commonly referred to as 940nm or invisible NO GLOW IR. 850nm is a dull red glow and a more visible IR. 850nm IR can illuminate further than 940nm and basically the only difference but from a covert point of view, No Glow IR is the most preferred within our Graffiti Cam range. 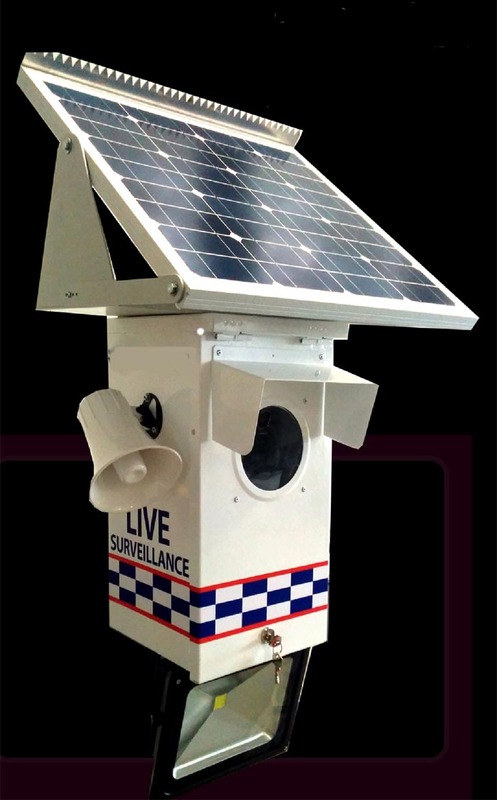 So who can benefit from our Solar & Battery Graffiti Camera? How long is piece of string more to the point but a good question just the same? 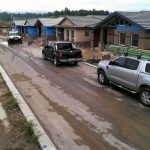 What about Construction Companies, Builders, new Home Construction, Logging Companies, Farms, identifying Ferral animals, Unattended Machinery vulnerable to vandalism, keeping a watch on your car at night, Trespassers, Property Owners, Driveway access, National Parks & Wildlife, Fuel Depots, Sheds, Storage areas, Vandalism and not forgetting of course discreetly identifying the common THIEF. The list of applications is virtually endless and we haven’t yet touched upon the problems faced by Federal, State and local Govt Councils. Identifying illegal “bush dumping” in remote or non patrolled areas is just one of many concerns for rate and taxpayers alike. We all know theft, graffiti and vandalism is out of control and in many instances, the same culprit is doing it over and over again. So how can one identify vandals and thieves at minimal cost without the need to attend upon the camera daily? Our Graffiti Security Camera could be hidden in a garbage bin, pot plant, perhaps strapped to a tree trunk (belt provided) or mounted anywhere inconspicuous. It will silently and discreetly record pictures and/or high resolution video whenever any person or vehicle moves within the camera motion activation zone and that can be up 15- 20m away. The 80 degree wide angle lens will see any movement within that zone and save the recorded time and date stamped pictures to the internal SD memory card. A wide angle view is important and for that reason, motion detected beyond 20m would make identity quite difficult The camera needs to be discreetly placed in an area where you know there is likely to be activity. This is quite important when mounting or hiding the camera. Remember, Graffiti Cam can record at very high resolution up to 12 megapixel so the ability to enhance or zoom in on any recorded image is sensational. Many of our customers need a security camera such as this to record high resolution colour images by day but also record at night. This is where our Graffiti Security Camera is an a field of its own. Not only can it record day and night but it can record in complete darkness using the built in NO GLOW IR (Infra red) Illumination. Graffiti Cam functions have been enhanced. In some circumstances, customers have been concerned that IR illumination from the camera could be a dead give-away. In other words a potential thief may see the dull red IR glow and either destroy and take the camera. 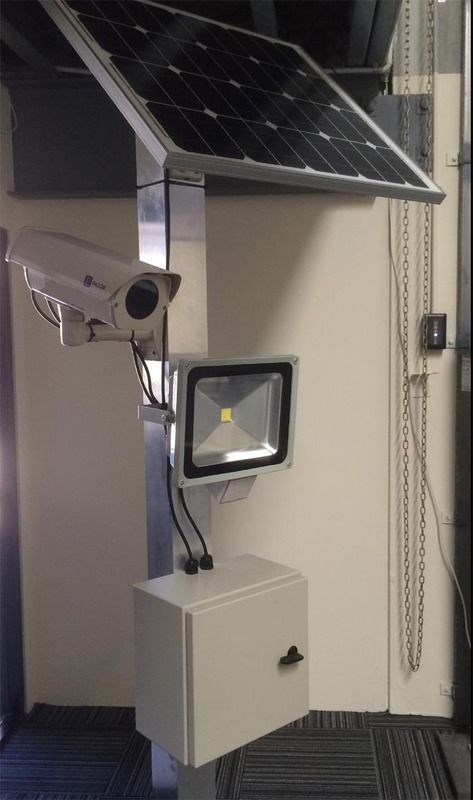 The IR in this security camera is invisible or No Glow allowing the camera to record at night without revealing its location with an IR glow. The IR is not on constantly but during motion detection only thus conserving battery power. That’s why Hidden Camera Surveillance offers two camera options visible and non visible IR. There is no camera cost difference just a personal preference. 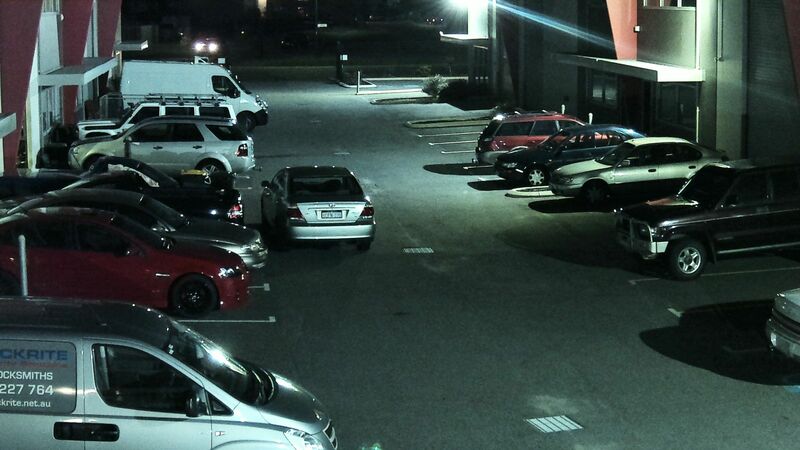 The main difference between the two cameras is visible IR “dull red glow” can see twice as far as non visible NO GLOW IR. To put this into perspective, our NO GLOW IR camera would need to be no further that 10-12m from a person or object in order to ID someone in complete darkness. It’s not an issue by day, only at night. Graffiti Cam auto switches to B/W mode at night as colour cannot see IR. The built in auto filter function mode switches the camera from colour by day to B/W mode at night or in low light. 940nm is invisible IR whereas 850nm is visible but only if looking directly at the camera. IR is not like a camera flash. Peripheral vision will not see IR anyway. With our optional invisible No Glow IR feature, its less likely the camera will be detected or seen at night no matter where it is mounted or hidden. What are some of the other features? We now know that IR can be visible or invisible but one of the new surveillance camera functions is the MOTION DETECTION zone. Graffiti Solar Security Camera is now supplied standard with 3 motion detection sensors. Pictured above is the centre motion sensor and two side prep sensors. There is reason behind this new technology. If the Graffiti Cam senses movement on either side of camera (for instance someone walking across the path of the camera) the side prep sensors will sense motion BEFORE the person or vehicle has moved into the actual camera field of view. The sensors will waken the camera from power conserving “sleep mode” in preparation to expect activity. In other words, if a person or animal were to move near the camera but not directly into the camera lens viewing zone, the camera will arm ready to take pictures and/or video. Pretty smart technology we think! 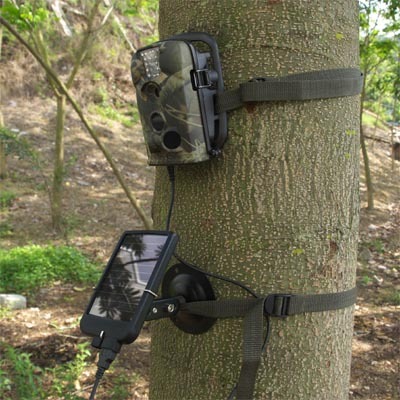 Pictured above is an older version of Solar Cam (Construction Cam) strapped to a tree trunk. The point of the picture is to demonstrate what the camera would look like with our optional mini solar panel attached. The mini solar panel looks much the same and as you can see, its quite small and rather thin. Supplied with a special swivel mounting bracket, the panel is weatherproof, has a rubber casing and supplied with a lead which plugs into the base of the actual camera. The solar panel contains non removable lithium Ion batteries so by day, the sun keeps the batteries inside the panel charged which in turn keeps the camera functioning. 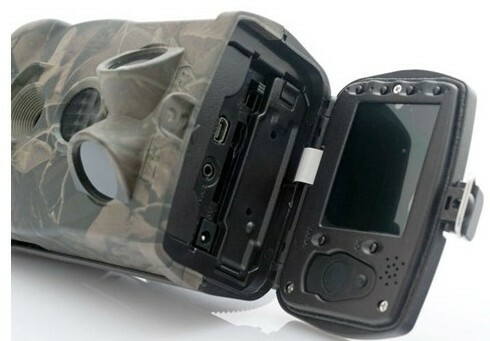 The charge within the batteries is sufficient to keep the camera functioning day and night without using any of the power from the internal 12 x AA batteries. Consequently, the camera doesn’t need to reply upon the standard batteries to function but when there are days of poor weather or limited sunshine, the internal AA batteries will simply auto take over the camera power needs. It is therefore possible to have the camera out in the field for 6-12 months with one set of standard good quality AA batteries. Being an optional item, if interested in the mini Solar Panel and as optional accessory, please call our office to make arrangements for delivery. Motion Detection recording is just one of many camera features although one of the latest functions is our new TIME LAPSE RECORDING feature. That’s right time lapse recording! 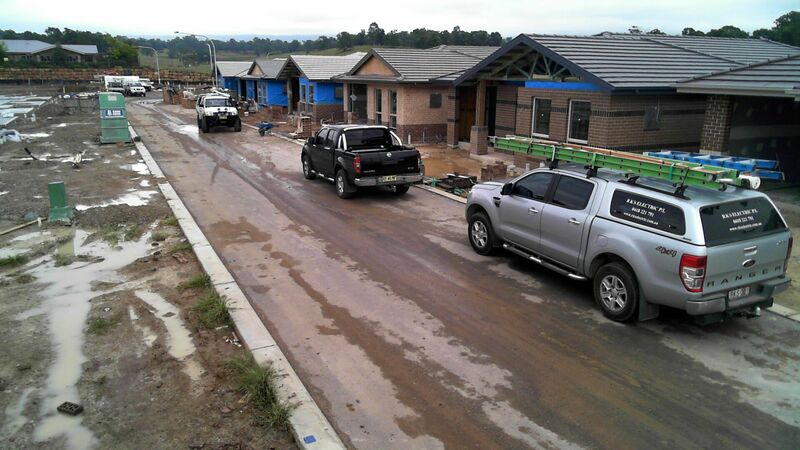 Many Construction companies have shown a keen interest in time lapse recording. The camera can be set to take high resolution pictures by the second/s, minute, hours or days. When playing back time lapse recordings, the construction of a building over a period of months or longer, can be viewed in a type of video fashion. Its simply a matter of removing the SD card at certain times, downloading the pictures to PC and from there, well users can do anything they like with any free player program. Another function of this feature is Scheduled Recording. 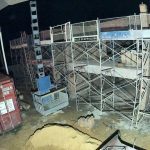 Once again if we look at a building site as an example, workers may be on site between 5.00am and 5.00pm so the Graffiti Camera can be pre-set to arm at 5am and disarm at 5pm and therefore only record during business hours. The same function could be used for a great deal of other applications. For instance, the camera could be mounted in a distant location or to far for the motion sensor to pick up motion (beyond 20m) Set the camera to time lapse recording (speed and image interval is adjustable) and allow the camera to record constantly over any given period. Graffiti Solar Security Camera has been used successfully on farms and not necessarily as a security device but to keep a watch on a cattle water trough. Just to explain, farmers often need to check water levels in troughs on a daily basis but often that trough doesn’t need any extra water. Graffiti Cam can be set to time lapse mode and as an example, the farmer could simply mount the Graffiti Camera and aim it at the water trough. Remember the camera has a built in colour LCD TV monitor which is excellent for setting up the camera and playing back recordings. With the camera aimed at the trough, it simply a matter of pre setting the camera with the supplied software to take a picture at say 9.00am and perhaps another at 4.00pm and with the GPRS modem installed, the camera will send those images direct to your mobile phone and/or email address. In fact it can send the same images to several mobile numbers and/or email addresses. There is no need to actually visit the water trough as its plain to see that water is not required. If on the other hand the water level is clearly low, well that’s different but the point is at least you or someone will know every day by means of a picture to your mobile phone or an email to your allocated account. The camera must be within a mobile phone 2G zone. If the mobile signal is reasonable an GPRS is available then Graffiti Cam could be an option worth considering. This is another optional item available with Graffiti Cam. Pictured is a side view of the actual lockbox with a swivel bracket at the back. Any user but lets say a Construction Company or Builder could mount this camera basically anywhere (perhaps pole mount out of reach) take a nice wide view of the building site, view what the camera can see through the inbuilt 2.5″ colour LCD monitor, maybe add the mini solar panel for long term recording and secure the camera against theft and vandalism under lock & key. Being an optional item, if interested in the lockbox and as optional accessory, please call our office to make arrangements as it’s little heavy and may alter delivery cost. Pictured above is the colour LCD monitor built into the base of the camera. 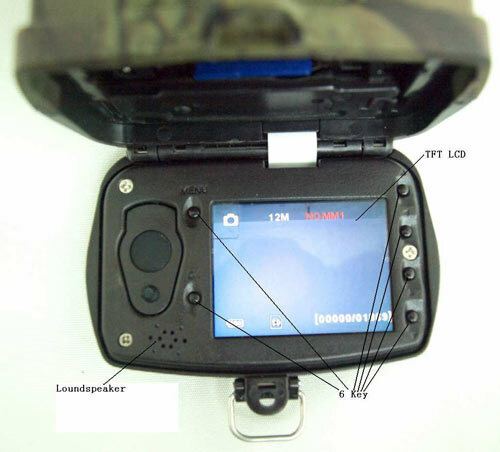 The LCD is lockable and concealed but is otherwise used to set the camera functions. When mounting the camera, switch the camera to TEST. In test mode the monitor will arm. The user will be able to see what the camera can see so it makes it really easy to aim and set. Move about in front of the camera in motion detection mode, allow the camera to take a few pictures then playback the recordings directly from the camera. The user will be instantly able to play back recorded still pictures and/or video movement triggered by the security camera. The colour LCD monitor is very handy during setup as the camera can be mounted and at the same time angled to see exactly what it is that needs to be seen within the field of view. When satisfied, switch the camera to ON position, the LCD will no longer display so close and lock the base of the camera. Its that easy!! At a later date, return to the camera, open the base, switch the camera to test mode, press the OK button and play back all still pictures and/or video recordings directly from the camera. The Solar Security Camera has added features including secure password access. If there is recording you particularly need to retain, simply remove the SD card (camera must be OFF) and backup the SD card images to PC via USB card reader (we stock them if interested) so again all very easy. All PC’s can view JPEG images. This is perhaps one of the main reasons for needing a camera such as this. So how does it work and what do I need to pay? This security surveillance camera will function with or without the GSM modem. Assuming that you like the idea of the camera motion detection feature (or time lapse function) auto sending those recorded pictures to your receiving mobile phone ad/or email account maybe just what you are looking for. Graffiti Solar Security Camera is available with or without the GPRS modem. If you don’t need the modem, the cost for the identical camera without the modem is $490.00. However, if at a later stage you would like the GPRS modem, we have the modem available as an optional extra. The modem basically slots into the camera to add the function if needed at a later date. Please call or email our office to order your modem. What type of SIM card do I need? First of all you don’t need to enter into a mobile phone plan. Call your preferred communications carrier and that could be Telstra, Optus, Vodafone and purchase a standard (not micro type) PRE PAID SIM CARD. We prefer to use Telstra for the wider coverage area but its important that you order a card with say a renewable $30.00 balance NO PASSWORD, NO PUK CODE, but MMS & DATA MUST BE ENABLED. If the SIM card has a password or PIN code activated then the camera has no means of deactivating that code so its very important when ordering that all PINS, PASSWORDS AND/OR CODES are deactivated by default. When setting up the camera to send MMS pictures from the camera direct to your mobile phone (more than one receiving number can be added) users must be aware that MMS costs can be 50c/image. If using a higher paid or pre paid plan, then the MMS costs could be much lower so always check with your preferred carrier as to the actual cost of MMS. In any event, the Solar Graffiti Cam can be programmed to send UNLIMITED PICTURES or set and limit the number of images from 1 to 99 per day. This keeps the SIM card carrier costs under control with no cost blow out. Remember, the camera SD card is saving the recording internally so no matter what, so you won’t miss anything. SIM cards are available with MMS and/or DATA. The data option is equally important in terms of remote access as well. It’s not necessary to program the camera to use MMS ONLY. It can also be programmed to send motion activated or time lapse event images to your email address or multiple email addresses. Email uses data rather than MMS and in this regard it is is significantly cheaper and faster. Graffiti Cam will automatically reduce the image size and quality (still excellent) and therefore send motion or time lapse pictures in larger volume direct to one or more email accounts. This security camera can do both MMS & Email and to more than one account simultaneously, or users can simply choose one or the other. Data as mentioned is by far cheaper as data is measured in MB rather than MMS image numbers. Consequently, if using the email service rather than Mobile MMS pictures, potentially many hundreds of pictures can be received via email for a relatively very small cost. 1GB of data is equivalent to many thousands of remotely sent camera pictures. It is NOT possible to remotely communicate with the camera. We provide software with each camera to enable remote access. There is no need to set up communications carrier APN, Gateway or Port forwarding etc. It has all been done for you. Simply select your preferred carrier from a drop down list and that’s it. Provided your receiving mobile phone can accept MMS (good idea to have someone send a picture to your mobile phone first) you are good to go. Email is not really an issue. Don’t forget, if you have one of the more modern mobile phones (Iphone or similar) access you email account from anywhere. If you can access your email account from your phone, no need for MMS in any event. Can this camera also take video? Absolutely! As mentioned previously, this is another new feature where as you can see below, the camera can be programmed (via the supplied software or directly from the camera monitor) under the heading MODE. There are 3 camera mode options. Camera only, Video only or Camera & Video. So how does it work? If selecting the Camera and Video option, once motion is detected, the camera will record 1-3 pictures with an interval or several seconds apart. Once all 3 pictures are taken, the camera will automatically take 10-60 seconds (selectable) of video all of which is saved to the internal SD memory card. Video cannot be sent via GSM to your mobile phone or email address. 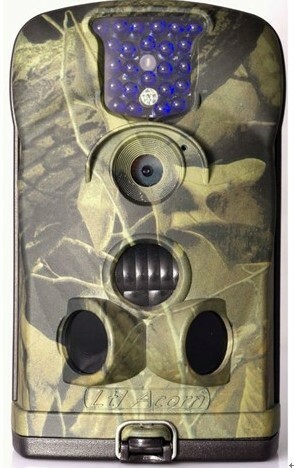 The camera can only send still pictures however, the camera will retain the video recording to internal SD memory. How do I playback a video recording from Graffiti Cam and view it on my PC? How do I playback recordings from the camera? Using the built in LCD monitor or direct from the camera. Connecting the camera directly to any TV using the supplied RCA lead. Connecting the camera to your PC using the supplied USB cable interface. Removing the SD card from the camera and viewing on any Windows or MAC computer (USB SD card reader required) if the PC does not have an SD card reader. Do you need CCTV camera security at a remote location but don’t have power or Internet? Camera cabling is out of the question or too costly, have little or no technical knowledge (specially IT) and other security companies simply don’t know what to do? Then look no further because SolarCam (A Division of Hidden Camera Surveillance) has the ultimate solution which is both brilliant and cost effective. Our 3G/4G HD Solar Cam only needs to be mounted to a sturdy post or building structure. Simple and quick to mount within any mobile phone network area. It doesn’t matter whether the camera is located here in Australia or Internationally provided you supply a 1-2GB Data Sim card and that’s it. Professional security camera installation in NOT required. No IT setup needed (we do all of that for you) , No power is needed, No cabling is required. Ready to LIVE VIEW & remotely playback recordings on any web enabled smart phone, PC, Iphone, Ipad, Mac etc. What could be easier! Our 3G/4G or WiFi enabled HD Solar Camera can be mounted anywhere, provided at least some mobile phone signal or WiFi is available in the camera location. 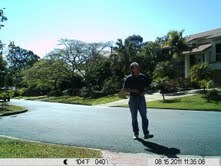 If your mobile phone has cell phone coverage within the camera location, then our Solar Cam will function. We can even boost cellular reception with an optional high gain antenna but in most instances it’s not necessary. Motion activated and/or time lapse recordings are saved to our secure SSL servers (similar to the Cloud) meaning no matter where you are, you have up to the second user name & password controlled LIVE remote camera access (including multiple cameras) various motion detection alarm notifications, email or text alerts and scheduled recording. Easy to move from one location to another. This is all DIY as we take care of everything behind the scenes and offer free support if needed including local warranty. All Australian owned and designed from ground up. This is NOT an import so any technical concern or setting change is quickly and remotely attended to. 3/4G Solar Security Camera is continually being updated with more features. SolarCam now supports both internal and external recording and both are remotely accessed. We also offer an optional a 12v motion activated 50W LED Flood Light for superb night vision and/or an audio warning speaker. LED is significantly better than IR. The LED Flood light will auto illuminate upon motion however users may now simply login to the 3G camera at night and the LED flood light will auto activate then switch off when you log out. Please call or email our office for pricing, further information or a LIVE 3G SolarCam demo. Be in front of your PC or MAC then call our office 1300 76 32 35 (Australia only) for the demonstration. International enquiries just email our office to make a live view demo appointment. How does it work and why so much interest? 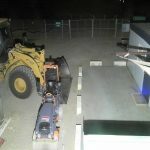 If you have a remote property, mine site, unattended valuable machinery, parking lot, building or construction site, fuel bowsers etc no matter what it is, and you need security cameras but don’t have power or Internet, cabling is just too difficult or costly, then look no further as 3G Solar Cam & Hidden Camera Surveillance (HCS) has the solution for you. Our Solar Security Camera isn’t covert or hidden by any means nor intended to be. If you want the ability to live view your site and keep an eye on your valuable assets, all directly from your mobile phone, PC, Ipad or Mac any time, and be email or text alerted to motion after hours, look no further! 3G/4G HD Solar Camera is not an ordinary CCTV camera by any means. 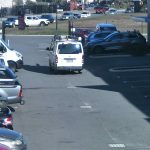 We do supply and install IP CCTV Cameras and NVR systems Australia wide but more often than not, the cost to provide a security camera solution in otherwise remote locations is often out of the question. CCTV or IP security cameras are fantastic although onsite Internet is required to view the cameras and playback recordings. That also means the need for power, cabling to all cameras (or WiFi) local NVR storage and so on. CCTV Camera systems need to be professionally installed and maintained thus somewhat costly. With no Internet onsite, perhaps power is too far away or simply not available or cabling means digging a long trench, conduit or ducting is needed so sometimes it’s just not worth it. 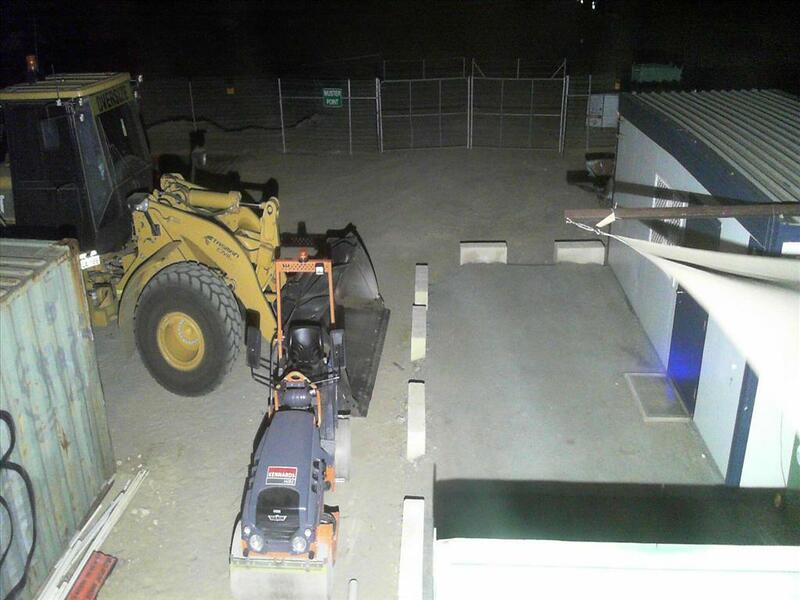 You may be on the one site only temporarily but still need to leave expensive tools and machinery onsite unattended in the dark. What an opportunity for a cash strapped thief! Worry not as we have a security camera solution that is so advanced, you simply need to see it to believe it! As far as we know nothing like this system exists anywhere worldwide and if it does, cost would be horrendous. What’s more you don’t need power, you don’t need internet, you don’t need cables or conduit, you don’t need to dig cable trenches, you don’t need a professional installer and you don’t need to have any IT knowledge. You can on the other hand pack the 3G Solar Cam up and take it home with you or move it from one site to another at any time. All you need is a pole or post to mount the camera, the ability to switch it on and the job is basically done. If you do happen to have power available at the camera location we can dispense with the solar panel altogether but still have battery backup…and it’s cheaper. Did I mention having the ideal security solution for you?? Our 3G HD Solar Camera solution is amazing and constantly being updated with more and more features, functions and accessories. Our 3G/4G Solar powered surveillance security camera is 2 Megapixel (optional 6mm or 12mm fixed lens) and amazing quality both day and night. Our IP security camera uses Solar energy to charge a 12V 55A deep cycle battery and that keeps the system functioning indefinitely. It can work for up to 4 days with no solar power whatsoever. Whenever motion is detected it saves the recorded event to our Cloud servers via the Telstra or Optus 3G/4G mobile phone network so no recording is ever lost or damaged. International users only need a local data SIM card supplied by your own mobile Telecommunications company so call or email our office if you have any questions. Secure user name and password access to our Cloud servers (not a Google Cloud) stores all recordings safely and allows for full remote camera access and not just to recordings but to every camera feature and function. If ever need technical support or assistance is needed we can help any time at no cost. Introducing our latest release 3G/4G HD 2 Megapixel Solar Security Camera. A pre-paid 3G/4G Data SIM card with 1-2 GB of Data is all you need and you may supply your own. 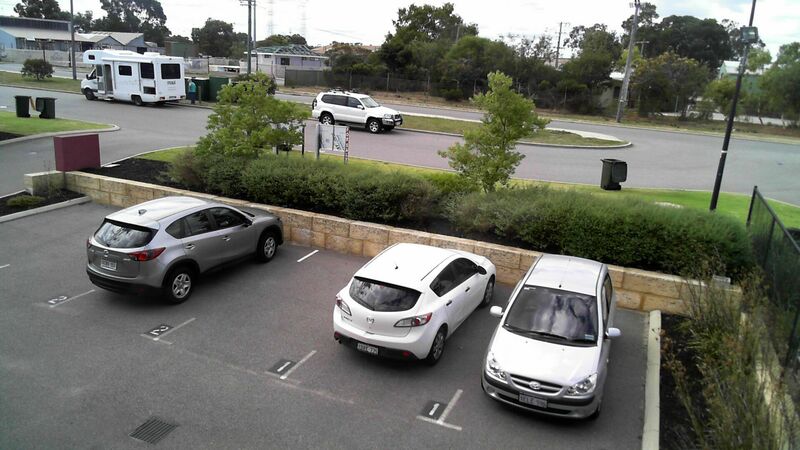 If you have WiFi available onsite, even better as our solar cam can use either the mobile phone Telstra (or Optus) network or WiFi meaning we have you covered either way. Everything you need is included. This system is designed and built in Australia ready to go in a powder coated, weatherproof enclosure (as pictured below) with sun-shield and high visibility window although we have a range of camera housing and mounting options (see additional pictures below) from which to choose. Also included is a 60W solar panel to power the internal 12V 55A deep cycle battery thus keeping the HD camera system fully functional indefinitely. Even in times of poor weather, the internal battery has sufficient power to keep the camera working for days although the battery is still being trickle charged even during inclement weather. If you require a longer battery duration a larger capacity or daisy chained battery is not a problem. We find even in poor weather, the solar panel will still feed power to the battery and in most cases a larger battery isn’t necessary. It simply becomes a matter of how often the camera is used and for what purpose that determines power consumption. In the unlikely event that the battery does go flat, the camera will auto reboot as soon as the battery begins to solar charge. In other words there is no need to physically touch the cameras once installed. We recommend a pole mount or side of a building, perhaps a sturdy structure about 3-5m in height. How do I remotely access the camera? The advanced SSL secure Cross Platform interface (like a Could) allows for remote access to the HD 3G/4G Solar Cam via PC, Mac, Iphone and any other web enabled device. User name and password protected for authorized access only, owners are not limited to the number of users permitted to access the camera however password access can be altered remotely at any time to prevent access. In fact, every feature and function of our Solar Cam can be remotely accessed WITHOUT the need to physically touch the camera. This ultimately means very few service calls other than a quick glass clean every now and then. No software or Apps are required just your unique user name and password. Yes indeed! One of the amazing functions of this camera is the motion detection algorithm which is so easy to use. A picture is basically pixels to the camera. We might have a situation where the camera is aimed at an area where there are trees and bushes moving in the breeze causing the camera to record as moving pixels are considered motion. However, by remotely opening the server software motion detection tab, users can place the live image into a grid as pictured below. In those areas where motion is causing the camera to record (areas of the grid flash red upon motion) simply highlight the trees and bushes to delete that particular area in the camera motion detection zone. Movement in those “selected” areas will NOT trigger motion or record but in other zones not “masked out” within the grid, if motion is detected yes it will trigger recording. The setup is actually very easy so once we know where motion is likely to occur, the question you need to ask is how fast do I need to record (how many images per second) and over what interval and at what quality…low, medium or high resolution. 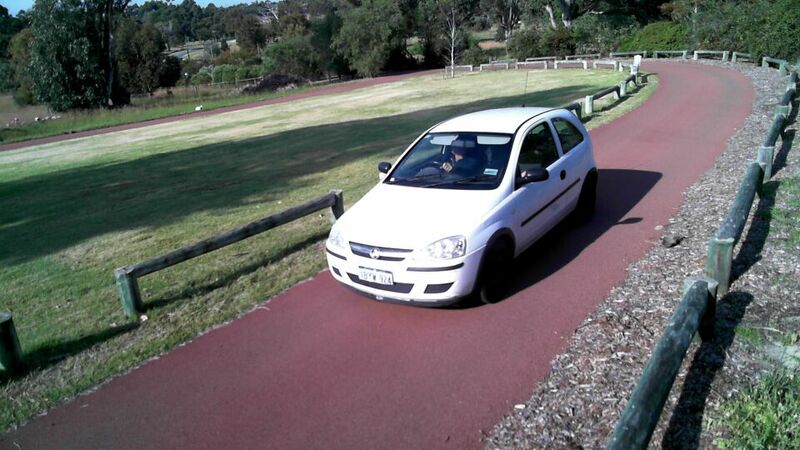 For instance, a person or vehicle may move past the camera. We can even program the camera to record a few seconds BEFORE motion was actually detected. How we do it doesn’t matter but the fact is motion was detected, the recording can be set to take one or two images before motion, followed by the actual motion event and then another 10-20 seconds or more, after the motion event. So if motion was only 2 seconds or so, we have recorded 2 seconds before and 10 seconds after so nothing is ever missed. If motion continues for an extended period then the camera will continue to record but users may want to enter an “interval” between motion detection events. The interval theoretically could be a gap of say 10 seconds more or less so we don’t have a long and continual recording. All of these features and functions can be altered remotely once the camera is in place. We make those changes for you behind the scenes. If still not sure how to make basic camera function change, don’t worry we can do it for you..no problem. By setting the desired motion detection zones, the camera will only concentrate on areas of concern. Algorithms are so advanced they can tell the difference between a shadow and vehicle or a cat and Cat Burglar. In other words the motion sensitivity can be fully adjusted to compensate for what is or is not actual motion. Alarm emails or text messages are sent to you within seconds (picture attached) and the motion event stored on the Cloud for months. Cloud storage cannot be lost or tampered with. In “scheduled recording mode” set to say 5.00pm to 6.00am weekdays, 3G HD solar camera will auto switch to motion detection mode. Live view and record at any time but some users are mainly concerned with what happens after hours which is why we set a schedule. The schedule recording (one touch on or off) enables the camera to auto arm alarm recording mode at preset times and dates which might include every weeknight from 5.00pm to 6.00am, weekends and all state public holidays. Even if you forget about public holidays, the camera certainly won’t. If motion is detected during that time frame, not only will any movement be recorded but at the same time our servers can email or text an alert one or more preset email addresses and/or mobile numbers. You receive what we call an “alarm alert” which is basically a heads up that movement is being detected during a time where there should not be movement. 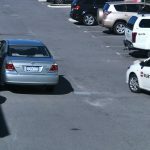 The email alert will include an actual recorded JPEG image so you can then decide whether to take the matter further by logging into the camera live to see for yourself, or view the entire “alarm event recording” and if warranted calling for Police or security guard assistance. If you have security patrols, alerts can be sent to a back to base monitoring company or direct to the guard patrol person. Either way you have the time and date stamped recording available at your fingertips ready to take any action. Not sure if the alert is genuine or not, login to the camera to see a live view for yourself. Users can also replay the motion activated events to see what or who it was that triggered motion. When an alert is auto sent to one or more recipients, all will have an image attached along with a time and date stamp and an instant link to the camera live view and recording playback. 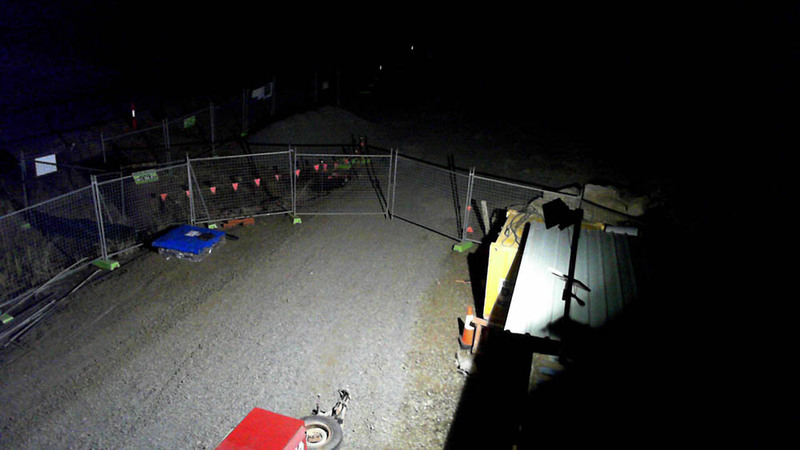 Time Lapse recording is often required on Construction sites. Time lapse is basically the camera taking a high resolution image once every few minutes, or so many times per hour or just a few daily but you have the choice as to how fast or slow the camera records during this mode. 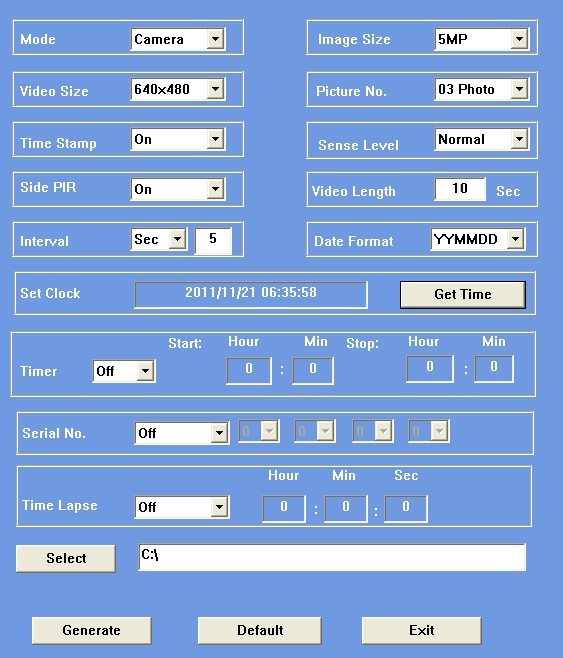 Set the camera to Time Lapse mode by day and then after hours when the site should be vacant set “scheduled recording mode” where the camera will auto arm into Motion Detection Mode. This mode can be armed or disarmed at any time you choose. As mentioned, scheduled recording will take into account weekends and state by state public holidays. We will set this feature up for you just advise us what you want the camera to do. Time Lapse recording as mentioned can be set in conjunction with motion detection if preferred otherwise all time lapse recordings are saved to our server. 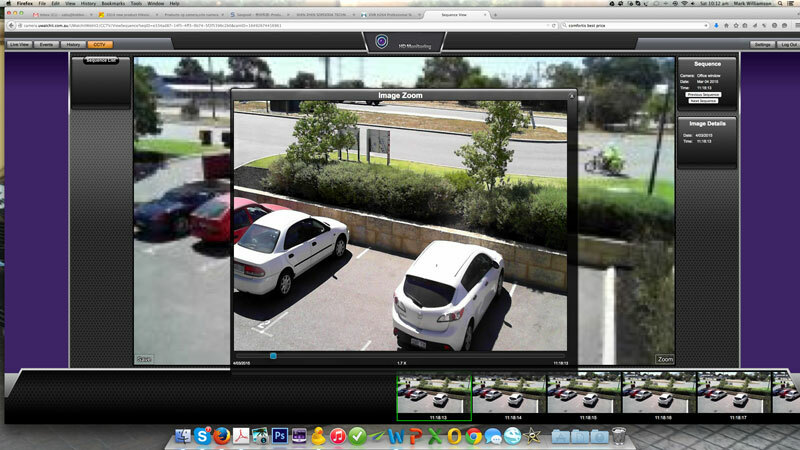 Users access Time Lapse recordings remotely and download to PC or MAC etc. 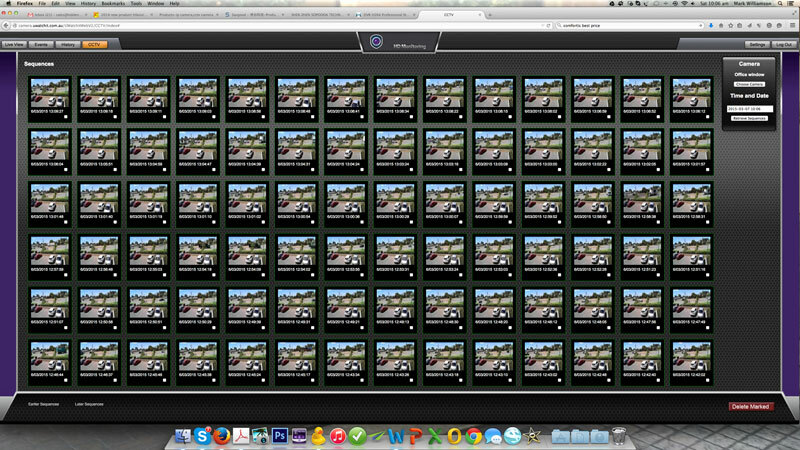 Backup of time lapse images can be done daily, weekly or monthly as the server will retain them for you. Ideal for farmers, water troughs, cattle, gates, building sites, mine sites, local councils, bush dumping, graffiti or any area that requires remote monitoring and scheduled recording. After all if something happens on your site you want to know about it and quick! 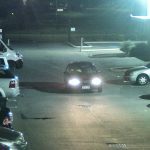 Can 3/4G HD Solar Cam see in the dark? This is where other CCTV security cameras tend to be obsolete but we have this aspect covered. Our optional 50W LED Flood light is amazing at night. 12V powered just like the camera or it can be an totally independent LED Flood light. 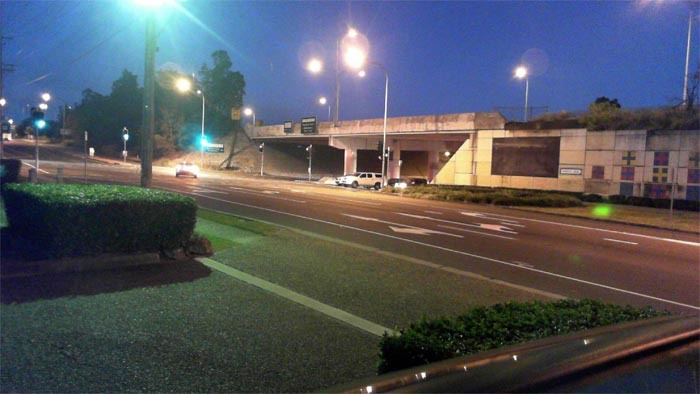 Consequently, when motion is detected (up to 15m or more away) the floodlight will illuminate for a set period of time allowing the camera to record in high quality 2 megapixel quality at night and in colour. When motion ceases the LED will switch off thus conserving power. If night lighting on your site is poor the camera LED flood light will auto activate as soon as you login. That means you see LIVE in colour at night and so will the 3G Cam. When the user logs out, the LED flood light will switch off. In other words the light is NOT ON all night but only when you login or when motion occurs. The LED Flood light is also a huge theft deterrent as a thief prowling about at night doesn’t want to be seen or attract attention. Our standard audio warning speaker will let the prowler know in no uncertain terms, that he she/is being monitored and recorded. More often than not the thief will have had enough by ten and move to a less secure location. After all, 3G Solar security camera is not designed to catch people out or be hidden. Its designed to be seen and warn intruders off before any damage is done. Some customers ask can the camera be fitted with an IR (infra Red) illuminator rather than a flood light? An IR CCTV or camera must stay illuminated all night which wastes power. For that reason alone, CCTV cameras are not suited to solar power. The key to our system is power conservation versus power generation. Furthermore only a B/W camera can see or use IR (not a colour camera) and if you compare IR vision to true LED lighting, there is no comparison whatsoever, LED wins hands down. IR offers a distorted on unrealistic view where a persons eyes glow or appear to be florescent, clothing and skin tone has no colour or definition and in terms of male or female positive identity, that can be realm issue. Not the best option for security and personal identity where IR recordings are used as evidence. Our 3G/4G HD Solar Camera is available with an optional 12V 50W LED Floodlight connected to the camera battery. It’s no secret that outdoor lights (12V or 240V) can be triggered by motion as many homes & business use them and so does our security camera. 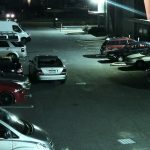 Provided the area under surveillance is already reasonably well lit at night, it may not be necessary to add any additional floodlighting but those are the choices, not to mention our 3G Solar Cameras records in colour at night. The end result, higher quality recording and positive ID. LED lighting is optional so it can always be added later if needed. The following images have been quality reduced for web use however they do provide an insight into the quality and clarity. 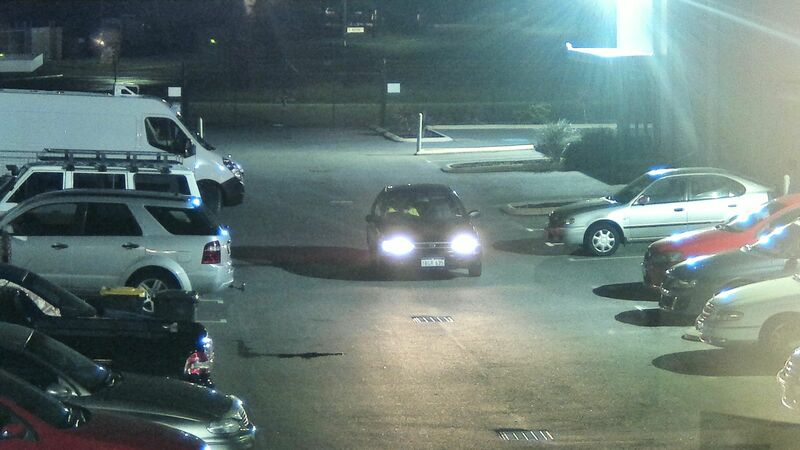 This night scene is a true Solar Camera image with no lighting assistance whatsoever other than street lighting. The overhead bridge is approximately 100m from the actual camera. Please also note the resolution and size of all images below have been lowered for internet use. If you want to see the true 2 Megapixel image quality, just call or email our office. This picture below depicts a scene in total darkness and the only illumination is our 50W LED Flood light. Are there ongoing server costs? Yes there is a small monthly or annual fee which works out to me about $1.00 per day. All local and International customers are free to supply their own 3/4G Dat SIM card and about 1GB per month is all that is needed. How fast is the live view & recording? This is what makes 3G HD Solar Camera unique and quite unlike any other similar or “copy cat” security camera. Years and millions of dollars have gone into the development of both the hardware and software driving this 3G/4G solar security camera. In terms of “LIVE VIEWING” it’s simply a matter of logging in and selecting a preferred viewing speed and visual quality. Remember, just like visiting any other remote access service, data is being used even when viewing. The refresh image rate can be anywhere from 2 frames per second to 10 seconds per frame or longer. Users may select low, medium or high resolution all of which has a bearing on data usage so it’s important not be online live streaming for extended duration unless your mobile network plan is on the larger side. View and playback recordings when needed but it should not be used as a permanent live viewing cameras as such. The camera is still active and recording regardless of whether you are remotely logged in or not. For Control Room live viewing, yes we do have customers who prefer that option. Its simply means that we need to slow the refresh rate to about 1 image every 30 seconds or so in order to avoid unnecessary data usage. Short term live viewing doesn’t matter but long term live viewing is different. We can assist with that and do the data calculation for you. The same applies to motion detection recording. Resolution can be set to low, medium or high whilst the recording speed and number of images taken during motion is adjustable to suit individual needs. For example, when the camera senses motion, you might want the camera to save 2 images in the seconds BEFORE motion was detected (pre-recording) and during the next 20 seconds (post recording) another 10 images 2 seconds apart. The recording speed, quality and duration can be altered and easily adjusted at any time to suit requirements. The resulting playback looks more like a video clip rather than just a few pictures. The 2MP JPEG images are much higher quality compared to an AVI video clip. Freeze framing an AVI or video clip and then attempting to zoom or enhance will often result in a substantial lack of detail or distortion. Motion JPEG images on the other hand are crisp and clear, can be enhanced, saved and emailed much easier than video and of course it has the added benefit of far less bandwidth and server storage. Sending a video clip via a 3G network is data costly and slow whereas JPEG images transmission is fast and much less costly. An email alert or text can be sent to you when alarm mode is active thus notifying that motion has been detected. From your mobile phone or PC, access the server and replay that recording. Any images that need to be saved to your PC hard drive is simply a matter of selecting the desired recording and save. The image/s will be saved to desktop or folder at the recording quality pre selected. Am I able to zoom in on a live view or recording? Absolutely and this is one of the advantages of having a high 2 Megapixel display and recording. Customers can use the zoom function in the right hand corner of the main view to digitally zoom or enhance up to 14X and the same applies to recordings. 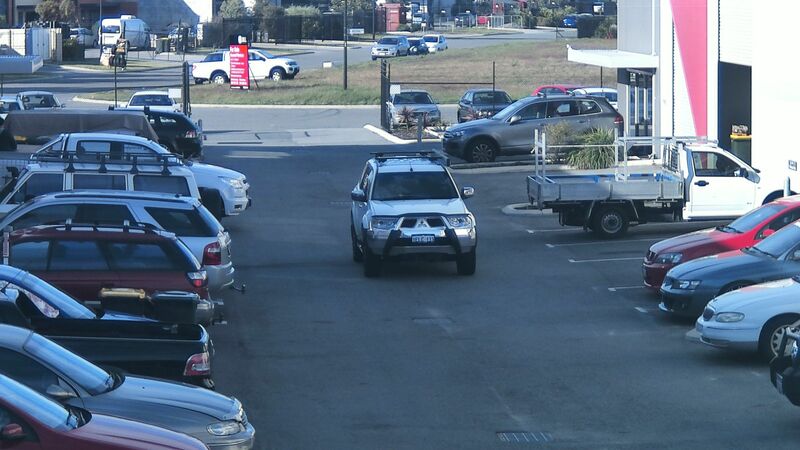 In this regard, should you wish to zoom onto a number plate (provided the vehicle or plate is not too far away) the registration number can be read without pixilating. Try to do that with a non megapixel camera and its next to useless. Any required image/s can be downloaded to PC and archived for future reference. Our 3G HD Solar Camera is constantly being updated with the latest technological advances but don’t worry you won’t be left behind. Firmware upgrades are available to all customers at no extra cost and our servers deal with that automatically. As demand for more and more features increases our system designers and IT experts will be right there. For any technical support or assistance we are local and here to help. With permission we take remote control of your camera settings and make changes for you. 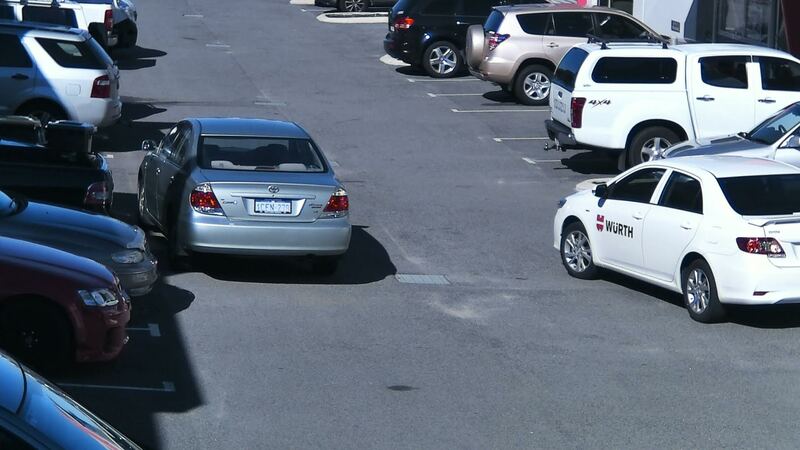 One new customer recently asked whether it was possible to interface an RFID alert system with our Solar Camera. The company was not so concerned with motion recording but more with identifying staff carried RFID devices or tagging which is similar to anti theft devices attached to stock in clothing stores. The RFID device triggered the camera to create an “alarm” recording that can be easily archived for future reference. That alarm is not just stored but can be an email and/or text alert if desired. Solar security camera relies upon 3G/4G or WiFi services (not the GPRS/GSM/2G older networks) to reliably deliver recordings to our Cloud severs in an instant. Nothing is ever lost and with a better than 99.9% server up time we remotely maintain your system. So when we say remote access the camera this means you login with a user name and password to our secure SSL Cloud servers to see the camera LIVE, play back recordings and remotely change camera settings as desired. Is 3G HD Solar Camera available with Internal memory? By way of the most recent development, we have released our internal HD recording which is tantamount to an NVR (Network Recorder). We now provide 64GB SD card internal memory (can be up to 1TB) as a customer option. Use the internal memory to record motion in super high resolution with easy remote access, playback or save recording to PC without physically touching the memory card at all. This basically means that onboard camera storage can now be quickly and remotely accessed at the touch of a button. View and upload the onboard recordings remotely and any images you need to retain, simply save to PC. So now you have a complete solar security camera solution anywhere, anytime and power isn’t needed. If you just happen have power handy great, no problem as the same system can be supplied without the solar components but otherwise it will be exactly the same albeit less cost. 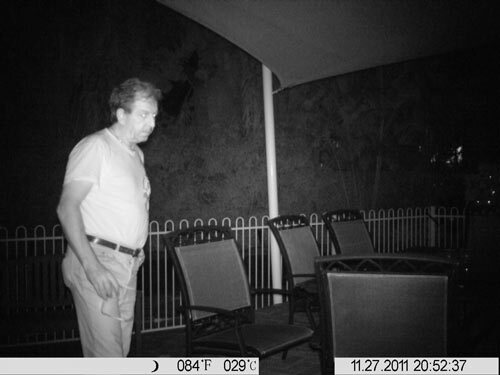 Can Solar Cam Speaker alert intruders? Absolutely, are we ticking all the boxes? With the inclusion of an optional external speaker (see the main camera image) the speaker can be added to auto announce any desired pre-recorded audio warning with words to the effect “Police have been alerted” or “you are trespassing on private property” etc. This is not a two way communication device it simply broadcasts an audio warning if motion is detected within a specified schedule but the audio warning can be remotely switched on/off as you choose. In the event of a text or email alert where perhaps an intruder is known or thought to be onsite, by logging into the camera the LED flood light will illuminate and the audio warning can manually activated as well. This is a medium resolution 1 Megapixel day picture. Quality and size has been reduced for web use. The recording quality is tantamount to that found in most mobile phone cameras where quality & colours etc can all be adjusted. Easily zoom to the number plate with clarity. 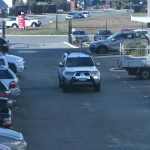 This image is recorded at higher 2 Megapixel resolution and despite the adverse lighting conditions late in the afternoon, there is no mistaking identity or number plate. Please note all images depicted are true but used for demonstration purposes only. In this image we can typically see a shipping container in the background, sheds and machinery so any person moving about in this area would indeed be positively identified. In scheduled recording mode, email alerts with image attached are sent to one or many recipients. 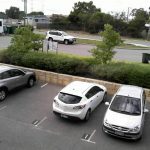 The 3G Solar Cam image depicts an early morning car park office view taken through a glass window. Here we can see some sun reflection in a worse case scenario yet picture quality is still quite good despite the adverse lighting conditions. Pictured below is our latest release all in one 2 Megapixel Solar Cam system ready to mount and switch on. The battery, camera, quad processor board etc are securely housed within the single lockable metal enclosure for easy access and no exposed cables. As an added deterrent the blue and white Police like emblem is a visual warning that the premises may be monitored and not to be under estimated. The emblem is optional. Warning any intruder which in many cases is all the deterrent you need. The intruder will be recorded, often he/she will look directly at the light or camera and a nice facial ID recorded. The pictured optional speaker on the side of the metal enclosure will announce a warning if motion is detected during a “scheduled alarm recording mode” with words to the effect that you are being recorded and Police alerted. Ideal for pole or wall mounting. Pictured below is the same 2 Megapixel Solar Cam system ready to mount and switch on. 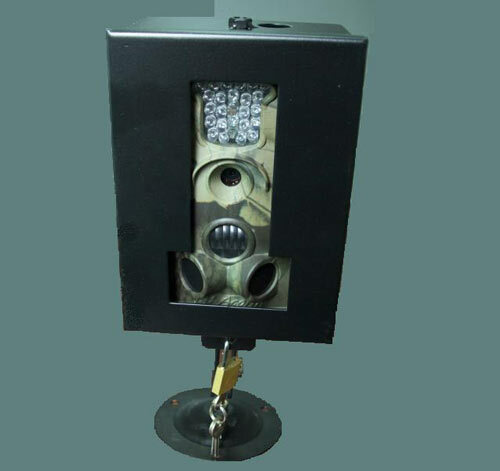 Once again the battery, camera, quad processor etc are securely housed in the one lockable metal CCTV type enclosure. Pictured is the motion activated LED Flood light and speaker. Again the Solar panel can be moved away from the actual camera for added security or to a sunnier position. 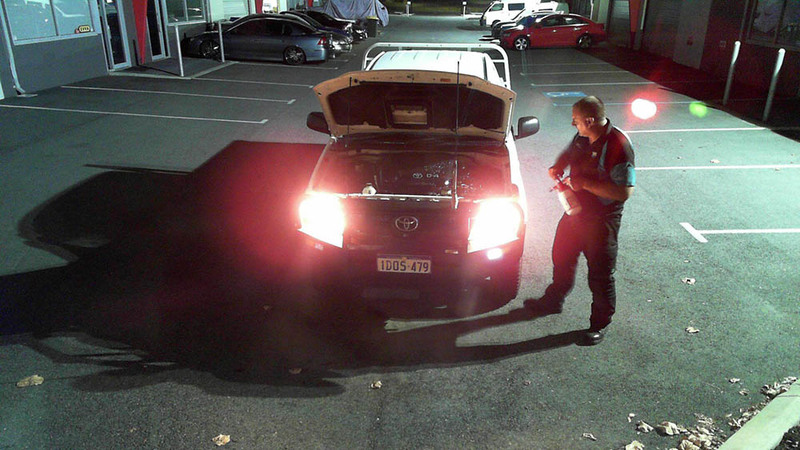 The same applies to the optional LED Flood light but in this instance the camera battery and solar charger are within the metal lockbox and away from the actual camera. External cables between the devices can of course be inside the metal pole for added security. If you have an questions about our fantastic 3G Solar Camera or you would like to see an actual camera demonstration, give us an hour or so notice, be in front of you’re PC and we will provide you with a temporary remote user name and login. You will be able to see our test camera live, ask any questions and at the same time show you the camera features and functions and how easy they are to learn and use. Depicted below is a full page of motion detection events all saved to internal SD card memory. Each thumbnail depicts a recording time and date and by simply clicking on that image, the entire motion detection event can be remotely played in its true HD recording quality, similar to a video clip. Any recording that needs to be retained can be saved to PC without the need to remove the memory card. When the 64GB memory capacity is full it will auto over write (recycle recording) from the earliest date. One of the main advantages of using an internal memory is recording speed (up to 10 images per second) and recording duration. Each motion detection event can retain recording a few seconds BEFORE motion was detected, including the actual motion and then keep recording as long as you like after motion has stopped. Authorised users simply login to the camera to view and playback any recording retained on the SD card. Lets say 3G Solar Cam is setup on a building site. We know the site is very busy between 6.00am and 4.00pm Monday to Friday. The site is closed every evening including weekends and public holidays. This is where the internal memory is sensational. We set up a SCHEDULE for you. That schedule auto instructs the camera to record all motion to internal memory during working hours. Its using virtually no 3G or server data its simply recording motion. However, after 4.00pm (including weekends and state by state public holidays) any motion detected during those times is saved to our servers instead where its safe. On;y then is it using minimal 3G and server data (shouldn’t be much activity anyway) which is why our server can then email alert users to motion. The entire system can me professionally monitored if required. In CCTV mode there are no alarm alerts just recording but after hours it will auto enter into motion alarm mode which conserves both 3G and Cloud server data. Please note that users can simply arm or disarm CCTV and Alarm functions at any time. Same applies to the warning speaker it doesn’t need to be armed constantly but only when required. A 1-2GB Data SIM card is more than enough for most customers but easily adjusted, perhaps even a Telstra Pre-Paid SIM. With a memory SD card interfaced with the camera, depicted below is an event playback using a MAC although it’s exactly the same using a Windows PC or mobile phone or any smart device. In the top left hand corner of the screen, note that EVENTS tab is highlighted orange. Motion detection alarm events are depicted vertically on the left hand side so by simply clicking the event, the recording will be displayed full screen. The main full screen view will be displayed in a lower resolution (conserving data) however, by simply touching the “zoom” tab in the bottom right hand corner, the image depicts its full 2MP recording quality. The difference in quality is quite noticeable even in this lowered resolution web demonstration. In this playback, motion was detected and the camera was programmed to take 7 images over 10 seconds. The 7 thumb nails at the base of the image depict the motion event. To playback, press the play tab in the centre of the main screen and all 7 images will display rapidly in a “video like” display although any of the thumbnails can be highlighted to freeze frame in full screen mode. In full screen mode users have the option to enhance or zoom into the picture up to 14 x digital or save the 2MP picture to PC Hard drive for future reference. This image is the same as above however, note the 1.7x digital zoom image enhancement which is conducted remotely. The digital zoom can be enhanced to 14x. Note the CCTV tab highlighted orange. That means we are actually playing back a recording from the internal memory rather than a saved Cloud recording. Even if internal memory is preferred, our Cloud servers can still remotely record and save “alarm events” so nothing is ever missed. Internal memory can record as fast as 10 images per second which is about cartoon speed. Also note that each thumbnail at the base of the main image is actually a 2 megapixel picture all time and date stamped. The “sequence” tab on the right hand side depicts a date or calendar so by touching the calendar users may select any time and date within hours, days, weeks or months previously depending on the memory capacity selected which could be hundreds of gigabytes. Same as above except here the zoom is normal 1x digital or a wider angle view. Our 3G/4G or WiFi Camera is a fraction of the cost of any installed IP camera specially when one takes into account the cost to run cables, setup IP addressing, interfacing into a new or existing network, plus customers need an NVR system with HDD installed and so it goes. In terms of installation of our pre built 3G Solar Camera, customers only require a sturdy metal pole perhaps 3-5m in height to attached the camera casing. The solar panel needs to face in a North direction at about 30 degrees. The solar panel can be separated from the camera and roof mounted if desired and away from the camera but you need to advise cable length required between the solar panel and the camera in those circumstances. With multiple orders we offer discounts and in some instances customers may prefer to supply their own 60W Solar panel and/or 12V 55A Deep Cycle battery. The solar panel and battery are reasonably heavy and add to freight costs so the more the customer wishes to contribute the less cost. For single orders it’s perhaps not worth it but for multi orders yes it is. Call our office to discuss cost options. Live view in real time from any web enabled PC, Mac or mobile phone from wherever you are. Unable to run cable? No power available? No Internet? It really doesn’t matter as SolarCam has the ultimate solution. 3G/4G Solar Cam is deal for ANY location where security camera vision and recording is required but CCTV cameras are too difficult or costly to supply and install. Building sites love this camera as it can be easily mounted to a pole or post, the owner/builder can LIVE view the camera from any mobile phone, play back recordings, receive after hours email or text alerts to motion and take action if necessary but more importantly, having a motion activated 50W LED Flood light and audio warning speaker attached to the camera is a huge theft deterrent in itself. The LED Flood light not only spooks an intruder but allows the camera to record in HD colour at night rather than IR B/W. Our 3G/4G or WiFi enabled HD Solar Camera can be mounted anywhere, provided there is at least some Telstra or Optus mobile phone signal. SolarCam is also suitable for international customers. If you have 3 or 4G mobile reception at the camera location then yes our Solar Cam will function. If mobile phone reception is weak we can even boost cellular reception with a high gain antenna if needed. Motion activated recording plus time lapse, the recorded images are saved to our secure SSL servers, (similar to Cloud) meaning no matter where you are, there is always up to to the second remote camera access including various alarm notifications, email or text alerts. Pole mount the camera and solar panel, aim and switch it on. Nothing more to do…..simple, cost effective, easy to move from one location to another and no professional costly installation required. This is easy DIY as we look after the camera functions for you from behind the scenes. 3G/4G HD Solar Cam is available in a range of mounting options including this latest release featured below. Note the solar panel, LED Flood light and audio speaker. The motion activated LED Flood Light and audio speaker are included as standard bu can be removed. Remember if you do happen to have power available on site, we have a scaled down version of the same camera and it’s cheaper. 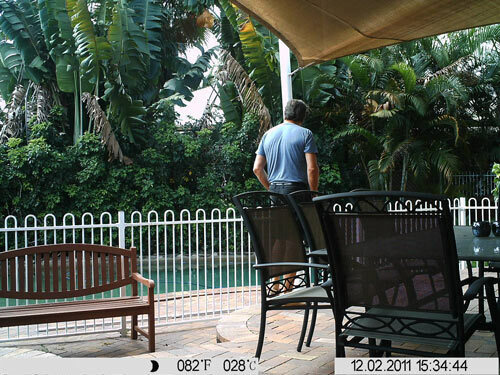 If you need a live security camera view with motion detection HD recording, email alerts, night vision etc and standard CCTV cameras are out of the question due to cost, prohibitive labour fees, power is too far away or worse still not available, running cable is simply out of the question, then Solar Cam & Hidden Camera Surveillance has the solution. 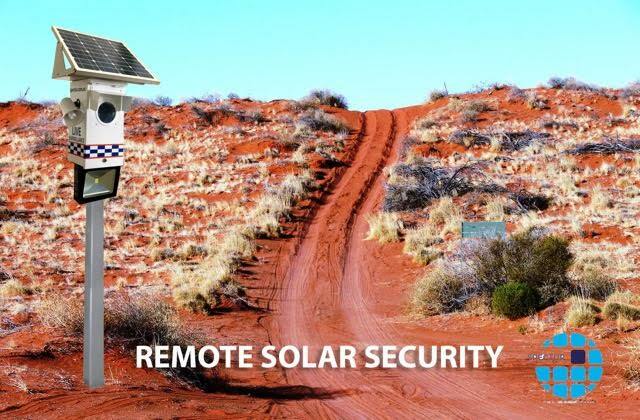 We have taken Solar Security technology to whole new level. Introducing our latest release 3G/4G HD 2 Megapixel Solar Security Camera. A pre paid 3G/4G Data SIM card with 1-2 GB of Data is all you need. WE can supply the SIM or you are most welcome to supply your own. If you have WiFi available onsite, even better as our solar camera can use either the mobile phone Telstra (or Optus) network or WiFi meaning we have you covered either way. Everything you need is included. The system is built in Australia ready to go in a powder coated, weatherproof enclosure (as pictured above) with sun-shield and high visibility window. Also included is a 60W solar panel that powers the internal 12V deep cycle battery to keep the camera system fully functional indefinitely. Users can even live monitor battery levels. Even in times of particularly poor weather the internal battery has sufficient power to keep the camera working for at least 4 days. If you need longer battery duration, a larger capacity battery is not a problem. We find that even in poor weather, the solar panel will still trickle feed power to the battery and in most cases a larger battery isn’t necessary. In the unlikely event that the battery goes flat, the camera will Auto reboot as soon as the battery begins to solar charge. The advanced SSL secure Cross Platform interface (like a Could) allows for remote access via PC, Mac, Iphone or any other web enabled device. 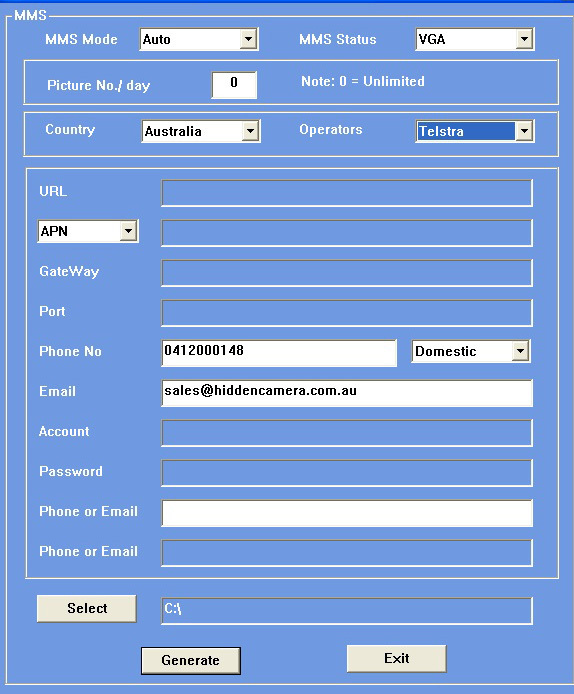 User name and password protected for authorized access only, owners are not limited to the number of users permitted to access the camera however password access can be altered remotely at any time. In fact, every feature and function of this Solar Camera can be remotely accessed WITHOUT the need to physically touch the camera. No software is needed although we do have a free mobile phone App if required. Motion Detection & Time Lapse Recording? Yes indeed! One of the amazing functions of this camera is the motion detection algorithm designed by us from ground up which is so easy to use. A picture is basically pixels to the camera. We might have a situation where the camera is aimed at an area where trees and bushes are moving in the breeze causing the camera to record as moving pixels are considered motion. However, by remotely opening the camera motion detection tab, users can place the entire live image into a grid as pictured below. In those areas where motion is unnecessarily causing the camera to record, simply highlight the trees and bushes and remove them from the motion detection zone. Movement in those “selected” areas will NOT trigger motion or record but in other zones not “masked out” within the grid, if motion is detected, yes it will trigger recording. If not sure we will do it for you. By setting the desired motion detection zones, the camera will only concentrate on areas of concern. Algorithms are so advanced they can tell the difference between a shadow and vehicle or a cat and Cat Burglar. Alarm emails alerts are sent to you within seconds (picture attached) and stored on the Cloud so nothing is ever lost. 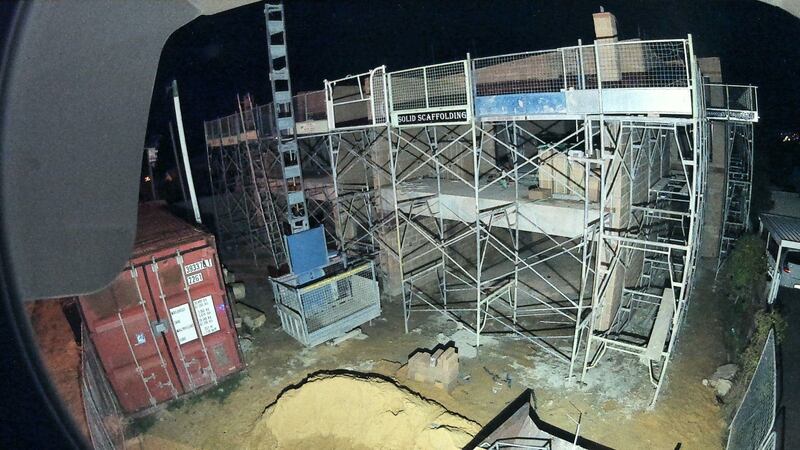 Time Lapse recording is often preferred on Construction sites. It’s therefore quite easy to set the camera to Time Lapse by day and then after hours (scheduled recording mode) the camera will auto switch to motion detection mode with email alarms if required. 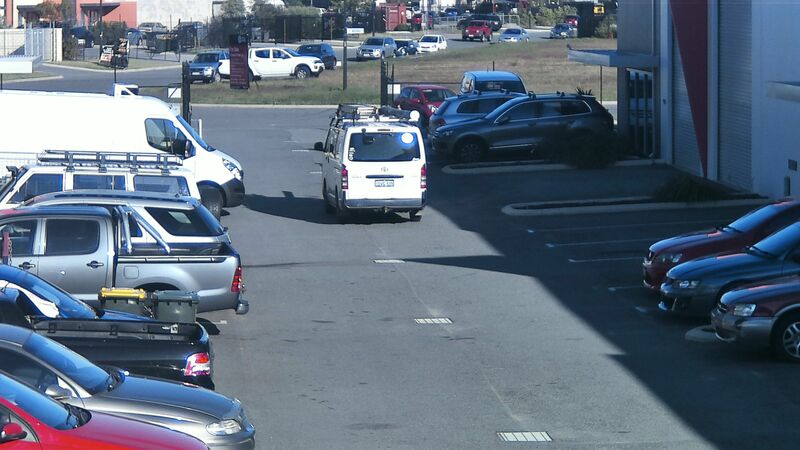 In fact our 3G Solar Cam is so advanced it can record time lapse and motion detection simultaneously. Ideal for farmers, water troughs, cattle, gates, builders or any site that needs remote monitoring and scheduled recording. Yes there is a small $1.00 per day monthly or annual Cloud server fee but that is the only fee we charge. The camera is entirely server driven in any event and won’t function without it so the server can’t be bypassed. Each camera requires a 3G/4G Data SIM card perhaps 1GB per month in most cases is quite adequate but we prefer the customer supplies the date SIM card. If you happen to have WiFi available on site, a 3G data SIM card in that case is not required at all. If you have WiFi available then we supply a WiFi module rather than a 3/4G USB dongle so quite simple and no cost difference. Please note the camera is still using our servers for remote access etc so the small monthly or annual server cloud fee applies regardless. International customers must supply their own data SIM card and our camera will function on any mobile phone network or WiFi if available. If power is available at the camera location, there may be no need for a solar panel or battery at all thus reduced costs. Call for more information. How fast is live view & recording? Those features make this camera unique. In terms of “LIVE VIEWING” it’s simply a matter of logging in and selecting a preferred viewing speed. Remember, just like visiting any other website, data is being used even when viewing. The refresh speed can be anywhere from 2 images per second to 10 seconds per refresh image or longer. Users select low, medium or high quality all of which has a bearing on data usage so it’s important not be online live streaming for extended periods if possible unless your plan is on the larger side. The same applies to motion detection server recording. Resolution can be set to low, medium or high whilst the recording speed and number of images taken during motion is adjustable to suit individual needs. For example, when the camera senses motion, you might want the camera to save 2 images before motion was detected and during the next 20 seconds, record another 20 images 1 second apart but that can be altered to less images and shorter or longer duration. The resulting playback looks like a video event rather than just 1 or 2 pictures. An email alert or text can be sent to you when alarm mode is active thus notifying that motion has been detected. From your mobile phone or PC, access the server and replay that recording and view the camera live. Any images that need to be saved to PC is simply a matter of selecting the desired recording and press save. The image will be saved to desktop or folder at the recording quality pre selected. By way of a reminder 3G SolarCam supports both internal and external recording. Internal SD card recording can be as fast as 10 x 2MP images per second (cartoon speed) but when recording to the SD card, it using virtually no server data at all. Its only using 3G and server data when the users decides to playback the recording at the full HD resolution. For more information allow us to remotely demonstrate. Our 3G HD Solar Camera technology is becoming ever more advanced but don’t worry you won’t be left behind. Software changes or additions will be available at no extra cost to all new and existing customers provided the change is not hardware related. As demand for more and more features increases our system designers and IT experts will be right there. If you need any technical support or assistance we are there to help you and take camera control if needed. So when we say you have access the camera we actually mean you access SolarCam through our secure cloud servers to view the camera LIVE, play back recorded events and remotely alter camera settings as desired. This camera is so smart, it can even record 3 seconds BEFORE motion was detected so you won’t miss a thing. Don’t forger we even include internal SD card recording all of which can be remotely accessed and played back without the need to ever touch the SD card. Can Solar Cam Audio warn intruders? Absolutely! With the inclusion of an external speaker (see the main camera image) we add a speaker to play pre recorded audio warning with words to the effect “Police have been alerted” or “you are being recorded” perhaps a dog bark or any other audio warning you choose. The images depicted on this page have been size reduced for demonstration purposes although it might be timely to point out the recording quality can be set to 2 Megapixel quality which is much larger than depicted below. Recording in such high quality means you have the ability to zoom in and in detail to identify people and and in many cases read number plates from a distance. In this instance the camera was needed for a work-site broad view in a remote location however mounting the camera in the correct location is fundamentally important and in some cases perhaps a few cameras are needed to cover more area or multiple zones. Customers normally supply a mounting pole say 305m high and 100mm square otherwise the side of a building is fine. The solar panel should be mounted facing north at 30 degrees. If you have a need for cameras in various sites either city, state or country wide, our software allows for the user to view all cameras live at any time. The main camera will be depicted full screen whilst other cameras will be small thumbnail size although by simply touching upon the smaller thumbnail camera, full screen viewing and playback is enabled. Its what we call an advanced cross platform interface. In other words, one login to view all cameras everywhere. Safe and secure as a bank and no unauthorized access. I live overseas will Solar Cam work anywhere? In a word..abolutely! 3G/4G Solar Cam will function as intended worldwide provided you have a mobile phone service in the camera location. There is a small monthly or annual Cloud server fee for remote storage and to access the camera however, the customer will need to provide their own 3G/4G Data Sim card (voice is not necessary) with at least 1-2GB data allowance per month. This could be a pre paid or annual plan but a SIM card is not something we can provide to international customers. A battery is heavy and a solar panel cumbersome so from a cost point of view it makes sense to at least provide those two items locally which are easy to purchase anywhere. Consequently cost is saved on both the purchase price and freight cost as airlines nowadays will not transport certain types of batteries. 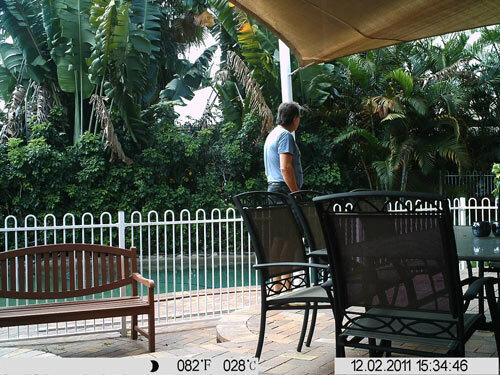 3G/4G Solar Cam is the latest advance in remote wireless surveillance technology. 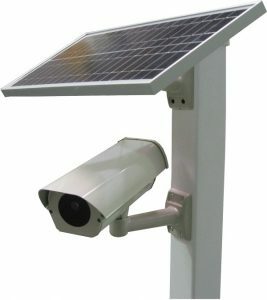 As the name indicates, this is a Solar powered CCTV security solution which can be mounted anywhere with a 3G/4G cell network. If on the other hand you happen to have WiFi available, the same camera can be supplied with a WiFi module rather than a 3G dongle. Solar Cam is without doubt absolutely remarkable and ideal for any surveillance application such as construction sites, mine sites, farms and properties, Oyster leases, Boating Marinas, Building sites, Roads, Councils, National Parks & Wildlife, Govt agencies, Power Grids and Water authorities, Industrial Sites, Wildlife Monitoring, Graffiti, Bush dumping and unattended machinery etc. In fact the list is endless. If you have a need for remote camera security whilst cabling and power is out of the question or cost prohibitive, look no further as we have the solution. Solar Cam can be easily moved from one site to another or multiple cameras at multiple sites. We do the camera setup for you so from the customers point of view, simply a matter of fixing the camera housing to a post, pole or any sturdy structure and switching it on. Advanced motion detection algorithm allows the camera to detect motion by day from a distance of up to 40m. Solar Cam can do time lapse and motion recording simultaneously. Impressive...yes we agree!! What makes Solar Cam different to any other security camera? First of all power, cabling and Internet are NOT required. It can be set up in minutes ready to go with Motion Detection and/or Time Lapse recording. Remote LIVE viewing and access to all time and date stamped recordings through our secure portal login. However, please note that our SolarCam now supports adding a USB Flash drive to the camera and that means the camera can record as fast as 10 images per second at 2MP resolution without using any SIM data. Motion activated recordings are stored to the flash drive but customers remotely accessed that drive to play back recorded events. This is tantamount to not just having a live view security camera onsite but an NVR recorder as well and all 100% solar powered. if you do happen to have power available, even better we can provide the same camera without the solar components making it much cheaper again. Call our office to discuss but there is nothing like this security system anywhere in the world and all Australian owned and designed with local backup and support.